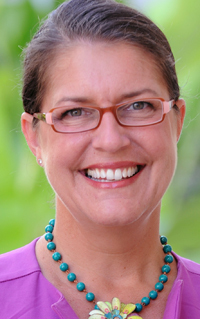 Lucy Frost Lewis has been named director of advancement at Hawaii Preparatory Academy. Headmaster Lindsay Barnes also announced the appointment is effective May 1. Lewis brings more than 20 years of experience leading advancement, development, alumni relations, and capital campaign programs. At Hawaii Preparatory Academy, Lewis will lead the financial development function at the school, including oversight of annual and planned giving, corporate, major gift and capital campaigns, grant research and applications, and special events. Lewis most recently was director of advancement at Iolani School on Oahu, where she was responsible for increasing the capacity and efficiency of the development team and positioning the school to double its Annual Fund and growing its endowment by more than $10 million over the next four years. Previously, Lewis was senior associate director of principal gifts at Yale University. Prior to that, she served as director of development and alumni relations at Moses Brown School, her alma mater, in Providence, R.I.
Before returning to Moses Brown, Lewis worked for 11 years in the alumni and development office at The Lawrenceville School in New Jersey, where she advanced through several positions until being named director of capital programs and principal gifts. Lewis, who recently spoke at the AFP National Philanthropy Day conference on Oahu, has been active with the Council for Advancement and Support of Education (CASE) District I and District II. She also has served as a CASE faculty member for advanced annual giving and as a CASE District Conference track chair. She is a former board member for The Island School in the Bahamas. Lewis earned her bachelorʻs degree in English from Tulane University in Louisiana and received an AAS in Interior Design from Parsons School of Design in New York. Hawaii Preparatory Academy is located in the town of Waimea. The boarding/day school serves 632 students from kindergarten through grade 12. The residential program for grades 9 through 12 currently includes students from 17 other U.S. states and territories and 18 countries.